The president of Mississippi's largest teacher organization says she wants to see lawmakers pass another round of pay raises for educators during the next legislative session. But state lawmakers are unsure whether they will be able to grant teachers another raise so quickly after giving them one earlier this year. 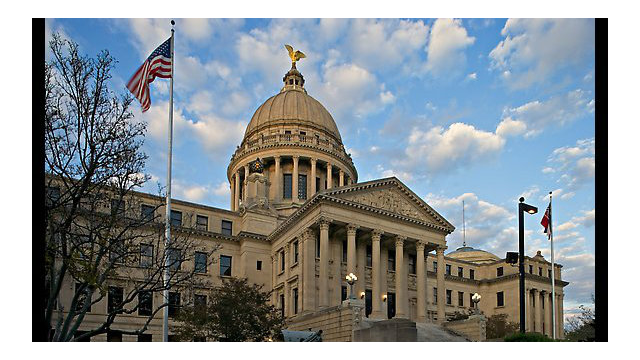 During the 2014 legislative session, lawmakers approved a $2,500 raise for the state's educators. Teachers received the first $1,500 chunk of that pay increase last month, and will receive the second half next year. However, Joyce Helmick, president of the Mississippi Association of Educators, says that raise doesn't go far enough. "These raises, they were a great step in the right direction for this, but we think that we should go further and make another step in order to promote better salaries and to be up there with our neighboring states and with other professions." says Helmick. To reach that goal, Helmick purposes lawmakers give teachers an additional $2,500 raise next year, and every year until a public educators starting salary is 40-thousand dollars a year. House Minority Leader, Bobby Moak of Bogue Chitto says teachers deserve the additional pay increase. "House Democrats actually supported a $5,000 across the board pay raise." says Moak. "Last session's pay plan was only half of what they deserved. We've been on record as saying they deserve the other half and it's time to give it to them, and we have the fund to do it." Senate Appropriations Chair, Republican Buck Clarke of Hollandale, says there are simply too many governmental agencies that need additional funding as well. "Let's say we have a $100 million increase, I.H.L. is asking for $73 million, community colleges about $80 or $90 million increase, we know a M.A.E.P. increase would be about a $250 million, all of our state employees in all the other agencies are asking for a pay raise." says Clarke. "I throw all of those items out to say you can eat into that $100 million increase in revenue pretty quick." In addition to the pay raise granted by lawmakers, Mississippi teachers also get an annual step raise of at least 495 dollars. Those with advanced degrees get larger annual raises.